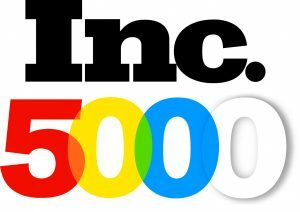 Hendersonville, NC—August 17th, 2017—Mountain Showcase Group, Inc., local family-owned-and-operated custom cabinetry manufacturer, has been recognized on Inc. Magazine’s 2017 list of America’s 5000 Fastest Growing Companies. In the last three years alone, Mountain Showcase experienced a positive growth rate of 73% and created 13 new jobs. Founded in 1997, Mountain Showcase is the product of one man’s ambitions and desires, backed by the support of family and mentors. Dan Casto began his journey into woodworking at the age of ten. Working in his uncle’s woodshop in Ohio as a boy, Dan went from building birdhouses to fulfilling a lifelong passion. After falling in love with Hendersonville, NC, during a family vacation years later, Dan decided to move his family from Ohio to Western North Carolina to start Mountain Showcase Group, Inc.
Mountain Showcase Group, Inc., is proud to be family owned and operated. We place customer service and satisfaction among our most sacred goals. Our truly custom cabinetry is handcrafted one piece at a time to fit your specific needs and unique style. For questions or more information, please call Mountain Showcase Group, Inc., at (828) 692-9494 or visit us online at mountainshowcase.com.